Taüll is a town in the province of Lleida, in Catalonia, Spain. It is home to the church of Sant Climent de Taüll, an excellent example of Romanesque architecture. 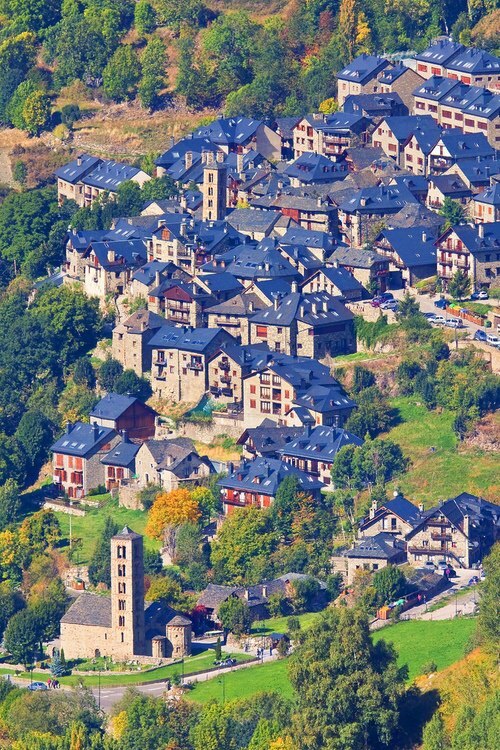 Taüll is one of the villages of the municipality of Vall de Boí in the comarca of Alta Ribagorça. It is situated in the bottom of the Valley of Boí. The engine of its economy is the tourism. In 2005 had 262 inhabitants. To get to Taüll, from the city of Lleida take the N-230 road, that begins in Lleida and finishes in Vielha. The N-230 goes through the village of Pont de Suert. At the end of the village turn right to take the L-500, the main road of the Valley of Boí. Continue on this road after leave behind Barruera until find another fork. Turn to the right at L-501, that takes you to the populations of Boí, Taüll and finishes at the ski station.